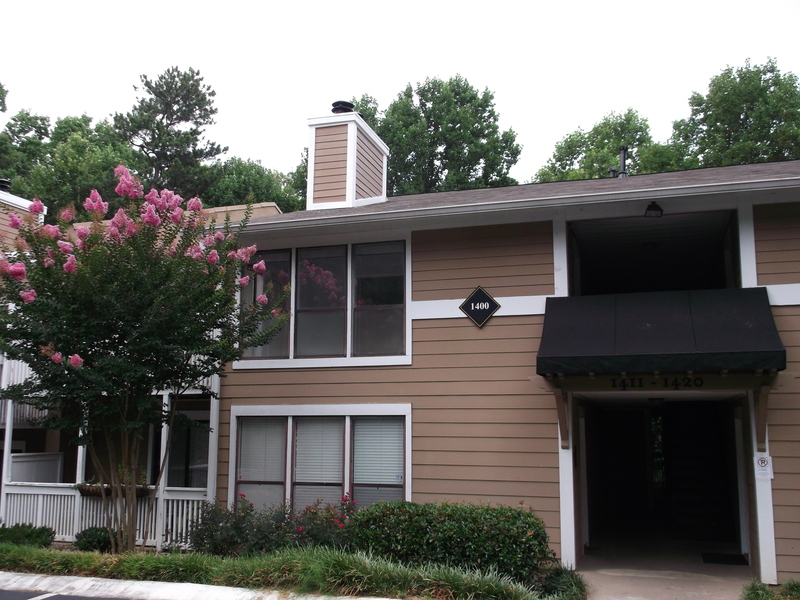 Just Listed – Convenient Buckhead Condo! Top floor unit – In sought after, gated community! Showcase condition/Loaded with Luxuries – Maintained to perfection; fantastic upgrades throughout! Kitchen – Features durable beauty with practical convenience; updated glazed cabinets, granite counters, under mount sink, stainless appliances, gas stove/oven, breakfast bar & wood floor with view to living room! Dining Room – Open to kitchen & living room; excellent for entertaining! Living Room – Generous sized room w/hardwood floors, cozy wood burning fireplace w/gas starter & built in bookshelves not found in most units! Sun Room – Bright & sunny! Open to living room; French door leads to deck! Fabulous Master Suite – HUGE room with walk in closet, wall to wall carpet & new window! Marvelous Master Bath – Updated with glazed vanity, granite counter, upgraded mirror, plumbing & lighting, tile floor & tile shower surround! Private Deck – Great spot to chill & enjoy the views of the Atlanta skyline! Amazing Amenities-Clubhouse, recently updated pool, lighted tennis courts, fitness center, community grills, courtyard, professionally landscaped greenspace, ample parking & much more! Great Location- Extraordinarily easy access to everything; GA 400, 75/85, Buckhead, Midtown & Downtown! Walk to Marta, local restaurants & shops! Contact me TODAY to be among the first to see this beautiful home! Average sales prices are rising in the Atlanta Market! Everyone will be pleased to know that average sales prices for homes in Atlanta continue to rise! Single family home prices are up 8% vs. the same period last year ($262,151 vs. $241,786). However, active supply of homes for sale increased by only 2% vs. year to date inventory in 2014. Similarly, sales prices for attached homes have increased by 10% vs. the same time last year ($209,244 vs. $189,524) and the supply of current listings is up only 1% in this category. Both are perfect examples of the laws of supply & demand. 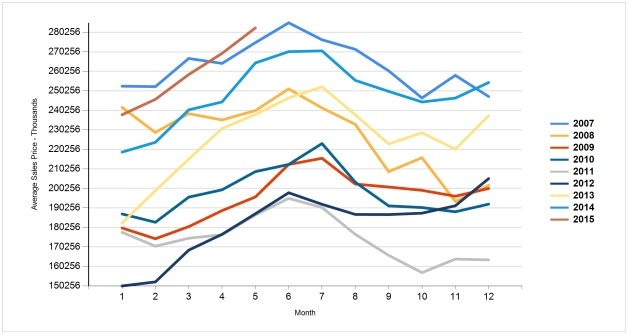 Low inventory is clearly driving up prices in the Atlanta market. Like the weather, sales are HOT, HOT, HOT! If you or someone you know would like to take advantage of the opportunities presented by today’s market, contact me TODAY to get started! 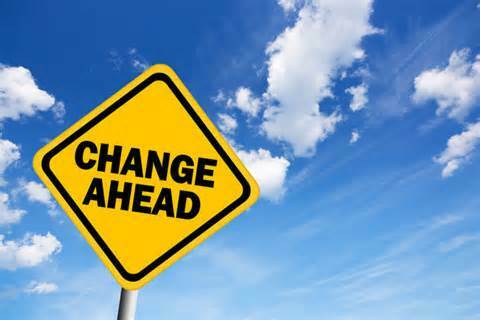 Major changes are coming soon to the mortgage process…. Effective August 1, 2015 the mortgage loan process will be changing significantly thanks to new Federal rules created by the Consumer Financial Protection Bureau (CFPB). The CFPB was created in 2010 as a result of the Dodd-Frank Act. The purpose of the CFPB is to help protect consumers in the market for financial products including mortgages. The new rules are the Integrated Mortgage Disclosure Rules (or “know before you owe”). The goal of the new rules are to improve consumer understanding of the mortgage process, aid in comparison shopping, and help to prevent surprises at the closing table. This relatively small amount of information obligates the lender to provide the borrower a Loan Estimate. The new rules require a 7 business day waiting period after delivery of the LE before a closing can occur. The Closing Disclosure will replace the Settlement Statement or HUD1 and here’s where things get interesting. The Closing Disclosure must be delivered to the borrower at least 3 business days prior to the closing. In the past HUD 1’s were usually delivered just prior to closing (often the day before closing). There were many cases where the first time the HUD was seen was at the closing table. The good thing about the new rules is they allow time for the consumer to clearly digest everything on the Closing Disclosure, which eliminates confusion about financial obligations, type of loan, costs associated with the loan, etc. Again, all good stuff. However, the new rules/deadlines may cause some closings to be delayed. Especially while lenders are initially implementing the new processes. Another twist is the switch to business days for the loan when every day counts regarding other deadlines associated with a real estate contract. The new deadlines will likely lengthen the loan processing period and the days of quick closings are gone. Therefore, it will be important for buyers, Realtors® and lenders to plan for more time to close when presenting offers; from the usual 30 days to 45 days. Choosing a lender who understands the new rules and is prepared to address them will be crucial to reach the closing table. Of course, I’ll gladly connect you with a lender who fills that bill. These are just a few highlights of the changes. As always, there are more details which we will be happy to share, all you have to do is ask.